When God closes a door. Many years ago I had miniature horses. A lot of miniature horses. Usually we had around 30 running around our farm. Oh yes. And I had a farm. The Ladybug Farm to be exact. My Mom, my grandma and I raised miniature horses. My Mom and I trained and showed them. 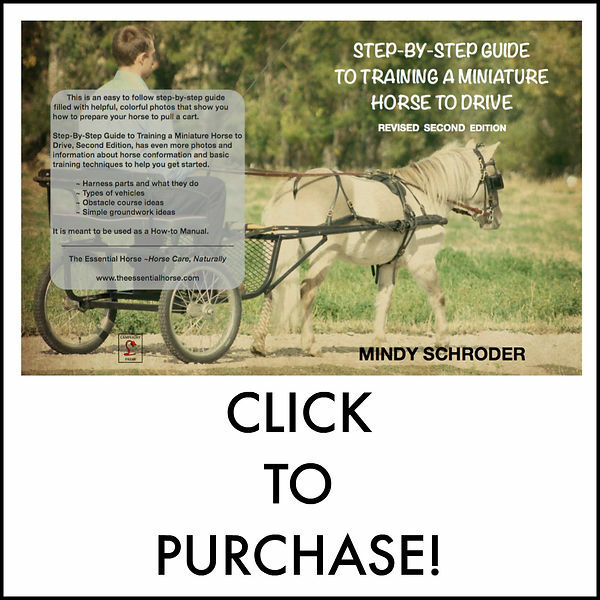 I had the great pleasure of training horses to drive for many people. One time I counted up the minis and ponies and donkey’s that I had trained and it was 31. In 2008 my Handsome Hubby found himself without work. In 2006 he had gone out on his own, being a General Contractor. He started his own business and everything was going very well. Then the crash of 2008 happened. No work = no money. In order to feed our family I slowly sold everything. All my minis, all my harnesses, all my carts and my buggy and my hyperbike. With every sale my heart broke a little more. We didn’t know what was going to happen… Then hubby decided he would like to have a job with job security, so he looked into law enforcement. In the time it took him to find a job I ended up selling most of our furniture, our TV, anything not nailed down in our house went. We were on the verge of the bank taking our farm when Handsome Hubby got a job! The job was 3 and a half hours from where we lived so we were going to have to move. I had one horse left, my Andalusian. He started out a stallion but I knew it would be very difficult to find a place to board him, I didn’t really know where we were going to be living, so I had him gelded before we moved. In the next year there were a lot of difficult decisions that had to be made and I found the Andalusian a WONDERFUL home not far from me. He is a happy dressage horse now. After a little time went by I knew I had to have a horse and we were in a place that I could have a horse, enter Billy Blaze! Years went by… I broke first, my left arm and then, my right arm and had my confidence seriously rattled in the last summer. If you have been following this blog you know that I have been wondering what I was going to do. I’ve been second guessing my passion and wondering about my future. Yes! I have decided that maybe I need to go back to what I was good at. And I was good at training miniature horses. When I had my ponies all those years ago I didn’t do Parelli. So I am excited to train my minis using the techniques I have learned through Billy! I can’t even imagine how far my little ponies will take me — I have high hopes that we will drive many miles in the cart and take many hiking trips into the mountains. I’m still not sure what is going to happen with Billy. I go out and see him, pet him and scratch his itches, but when I am 100% honest with myself I know that I am not interested in riding anymore. (The door closing…) I’m too out of shape and all the exercising and eating right doesn’t seem to be changing that. All my hikes with my dogs do not make my waistline smaller. I am ungainly in the saddle and uncomfortable. Billy is too green for me to ride and I’ve come to the realization that I LOVE GROUNDWORK! (The window opening!!) I love playing with my horses on the ground and exploring liberty work. I love driving in the cart and ground driving. I love taking my horses hiking. I love the size of the minis because they are easy to take places, easy to tie up, easy to handle. (Even when they are feeling unconfident!!) I am looking for fun and “easy” right now. I can not wait to see how Captain Planet (photo above) blooms with Parelli and all I’ve learned. I can’t wait to really have a partnership with my minis. They have always had a special place in my heart. I have never quit missing them. Previous PostChanging Next PostSpring has sprung!